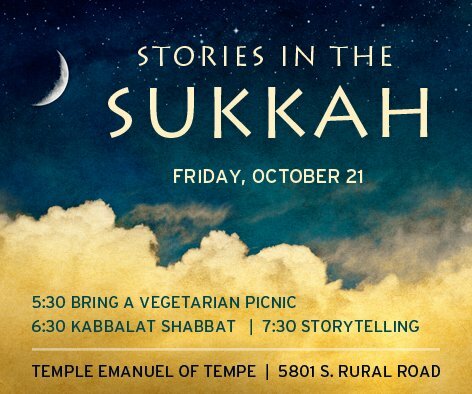 Graphic invitation to Stories in the Sukkah — a night outside, under a portable hut where this Jewish community (Temple Emanuel of Tempe) celebrates the holiday of Sukkot. Note: The iconic hut cannot have four full walls. The roof is made of vegetation and must be open to see the stars and feel the rain. 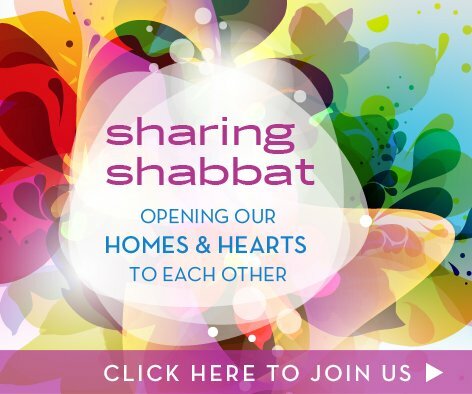 This program is for people to invite others into their homes to share Shabbat dinner together. The feeling is warm, joyful, and open. Candles are the central image of the Shabbat dinner table, so the image needed to visually communicate how both light and love emanates thus including more and more people. 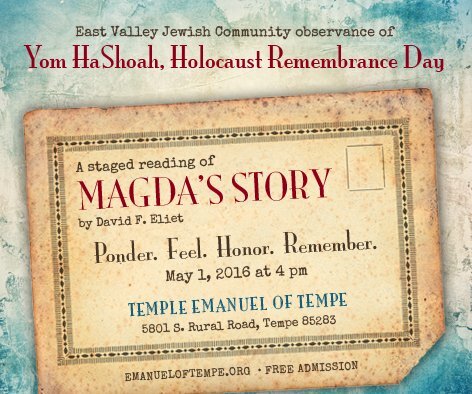 Graphic to invite attendees to the East Valley Jewish Community observance of Yom HaShoah, Holocaust Remembrance Day, hosted by Temple Emanuel of Tempe. 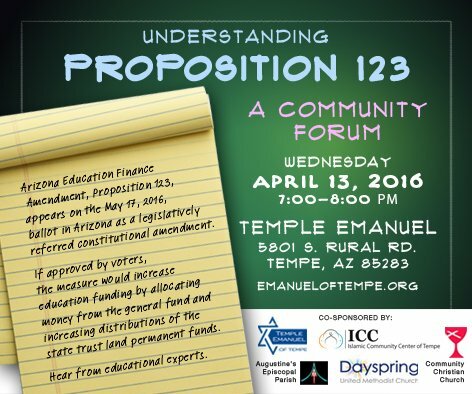 Graphic to promote a community forum event to inform Arizona voters about upcoming ballot issue, Proposition 123, regarding education. Event hosted by Temple Emanuel of Tempe. 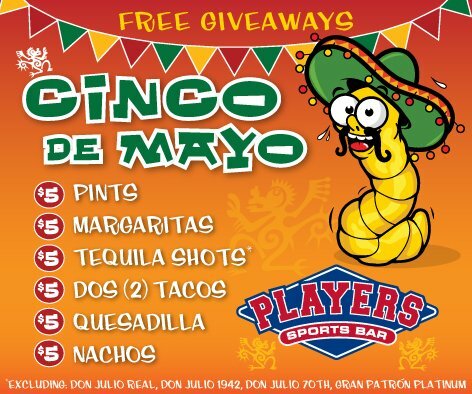 A Facebook newsfeed graphic on a far less serious topic, Cinco de Mayo at Players Sports Bars in San Marcos and Poway, CA. The San Marcos location is next to Cal State — San Marcos and attracts a college audience.